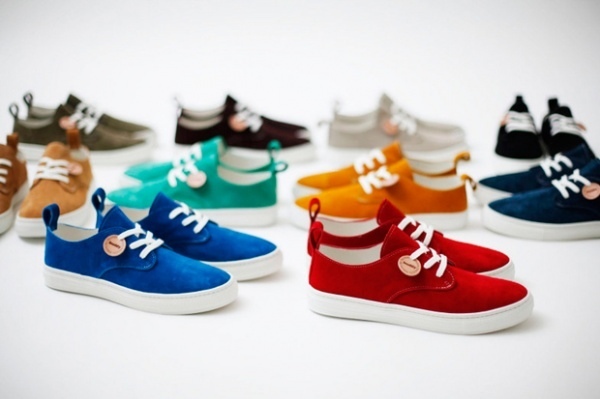 A new Made-in-Japan brand, Buddy footwear has just given us this first look at their Summer 2012 offering. The company’s first silhouette, the Corgi, features a clean low-top suede upper with white laces, contrast stitching and a solid white rubber sole. Available in plethora of colorways, each with understated branding, the Corgi is now available from Buddy’s online shop.